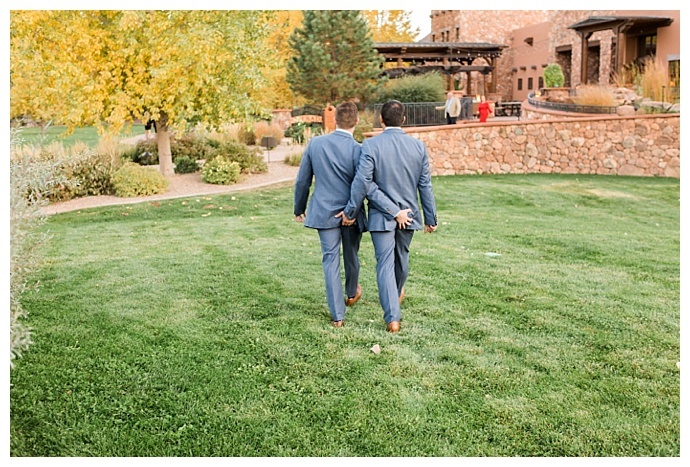 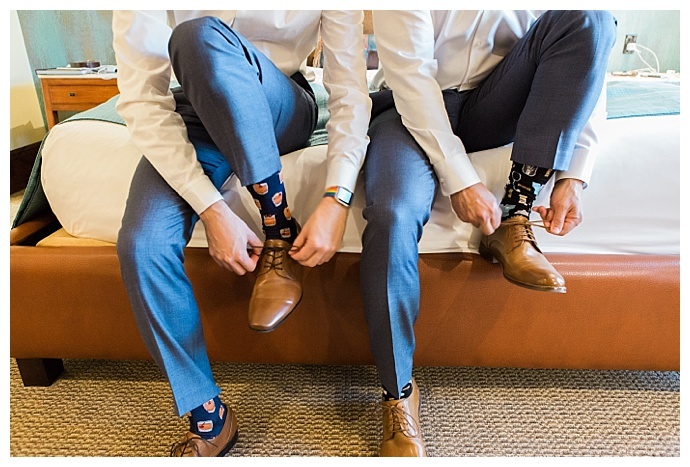 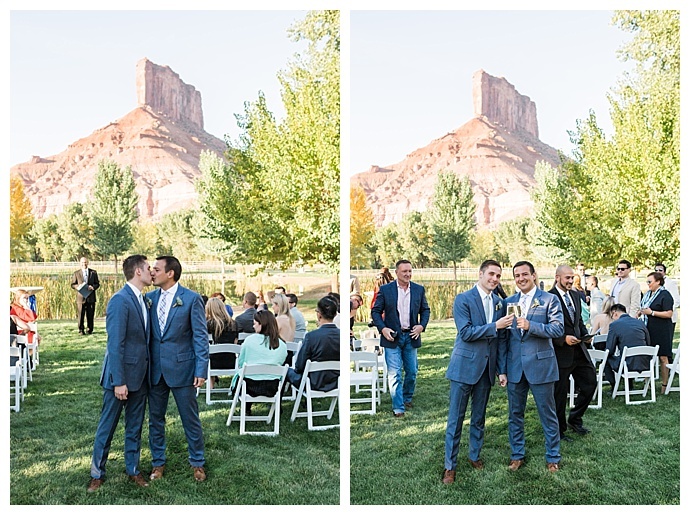 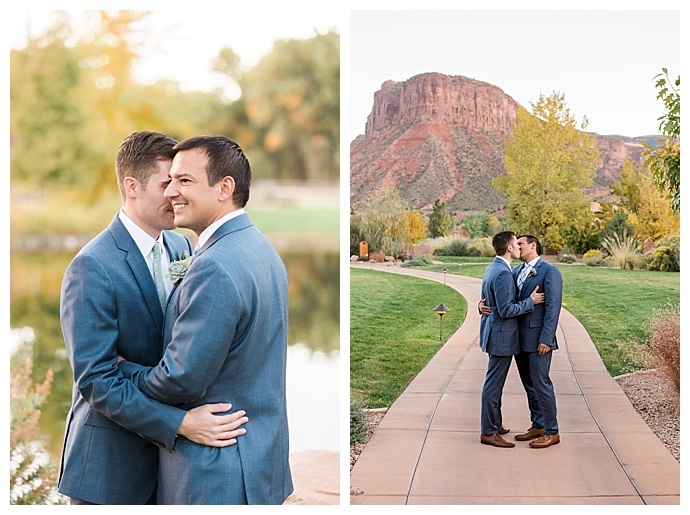 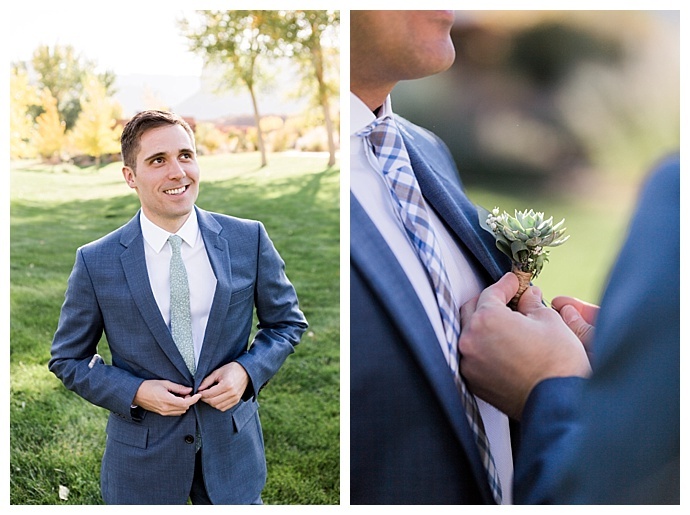 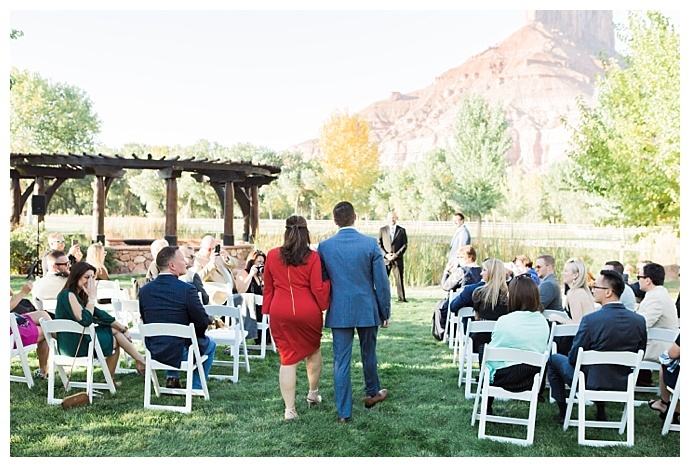 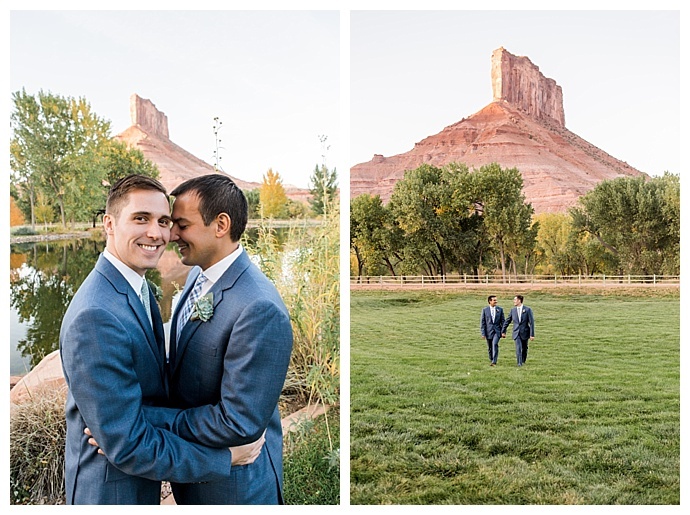 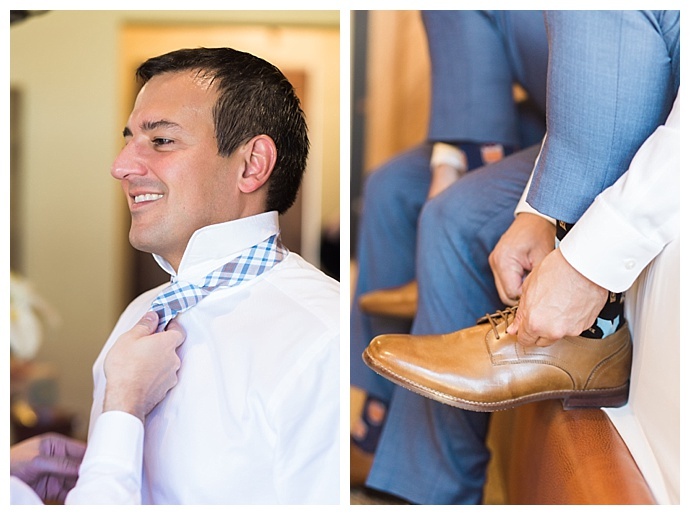 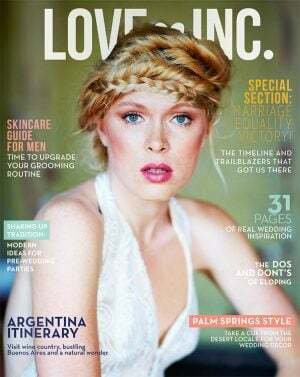 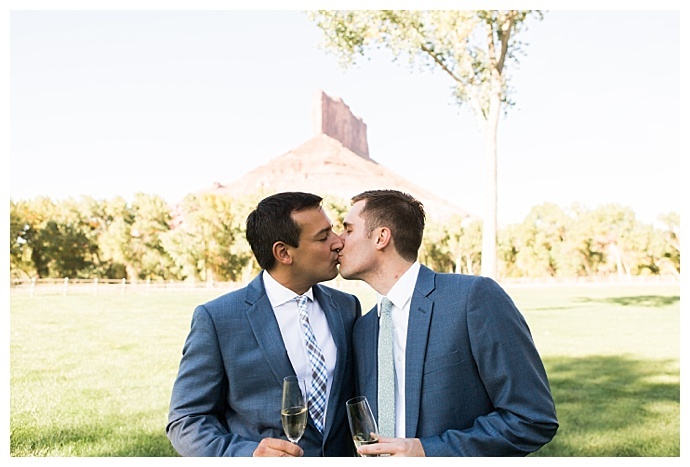 On the morning of their wedding at Gateway Canyons Resort in western Colorado, Ryan and John invited their friends and family to join them on a hike that offered incredible views of the canyon and the very spot where they’d say “I do” later that afternoon. 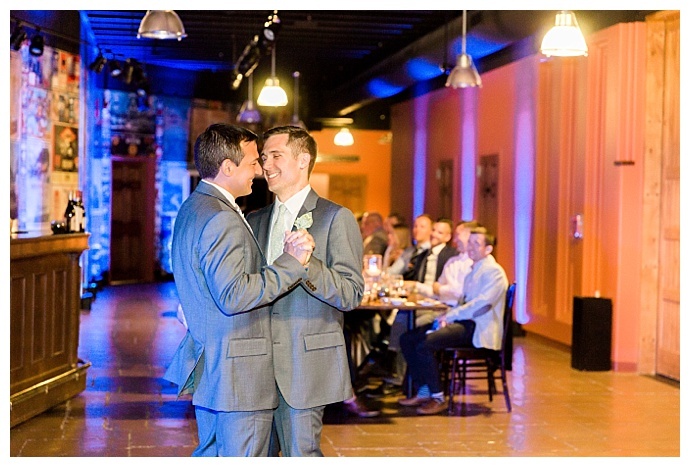 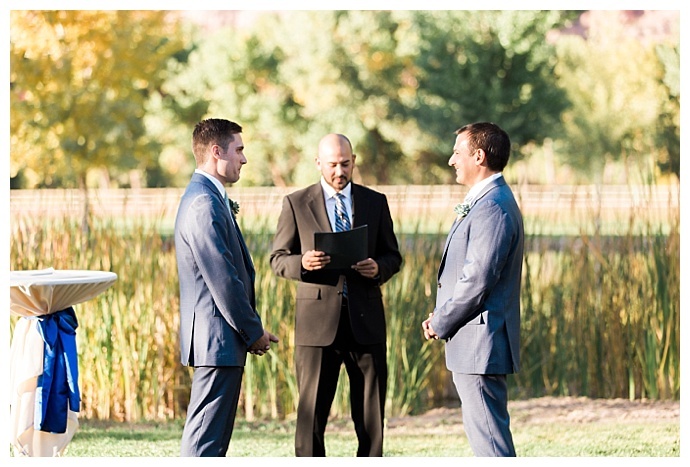 It was the perfect way to start their unforgettable day and their new journey in life together. 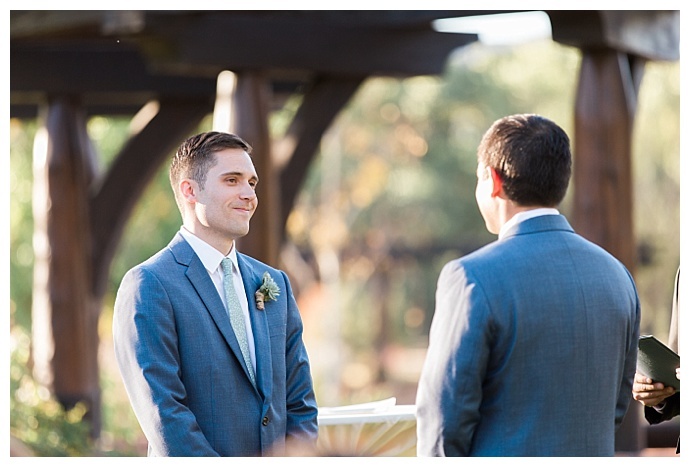 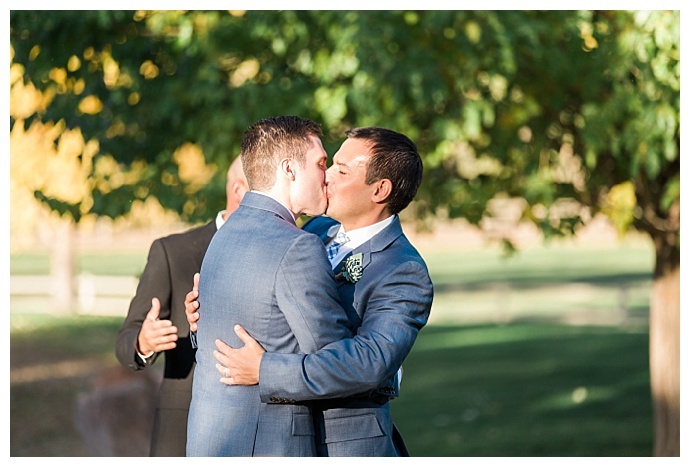 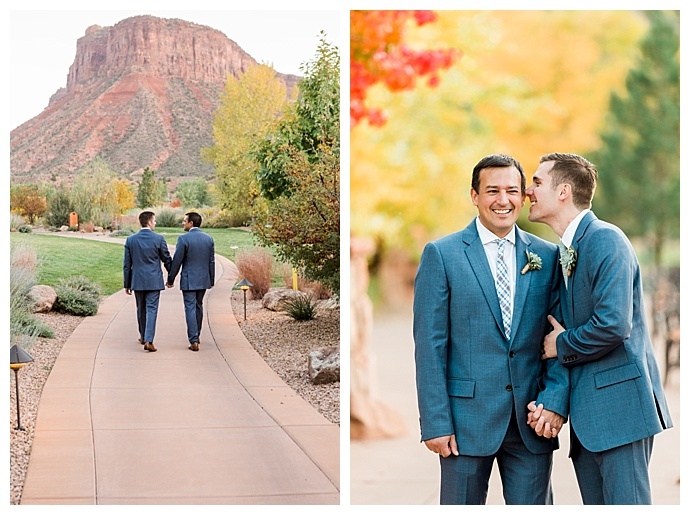 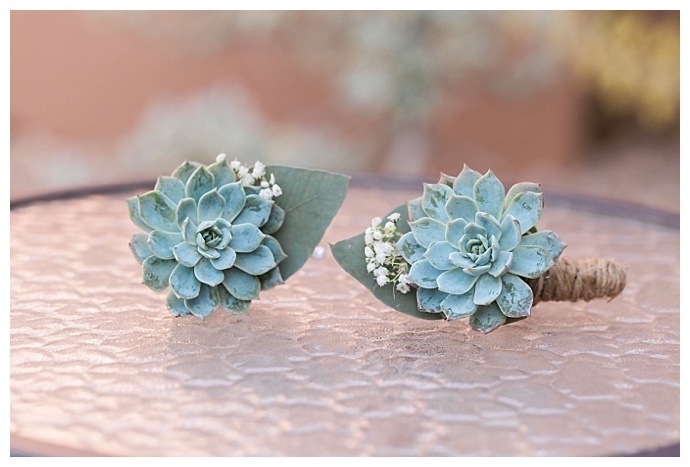 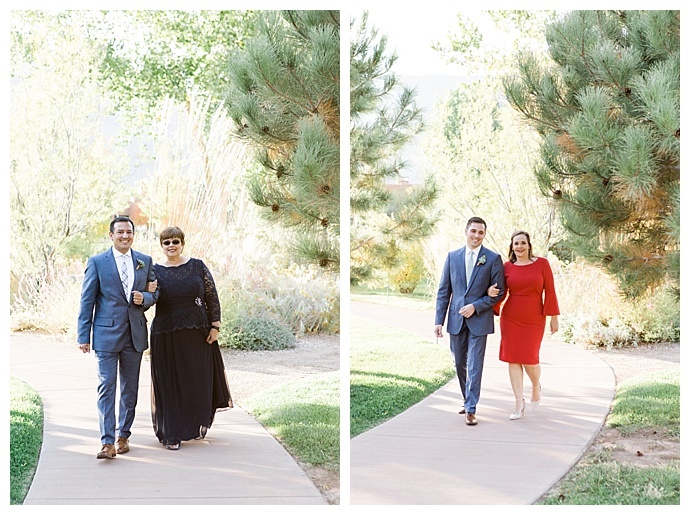 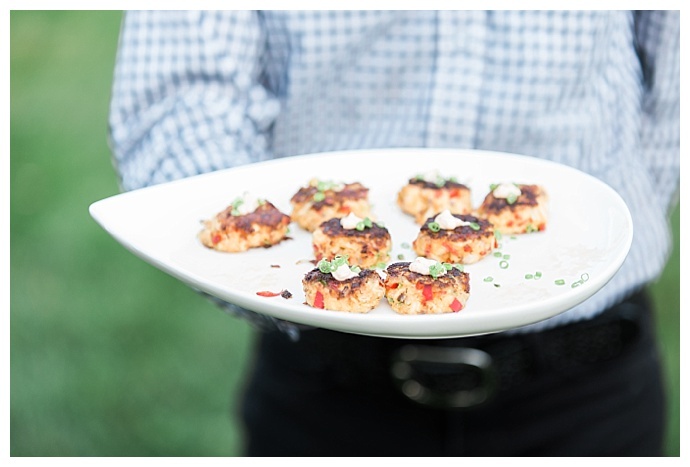 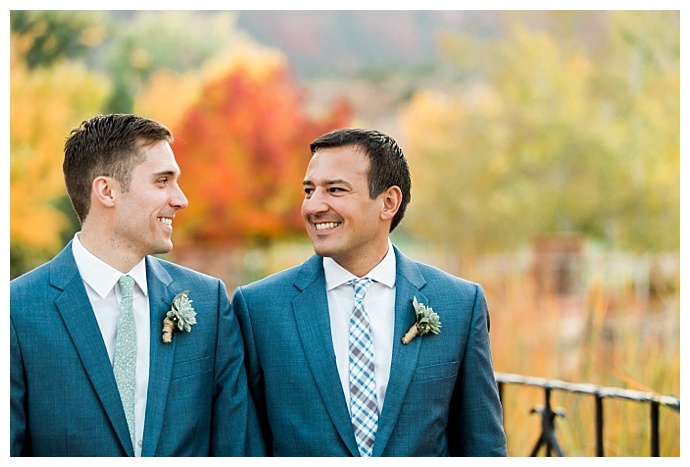 Captured by Kimberly Weber Photography, this gorgeous fall wedding is filled with breathtaking colors, desert details and an outpouring of love and support from the grooms’ friends and family. 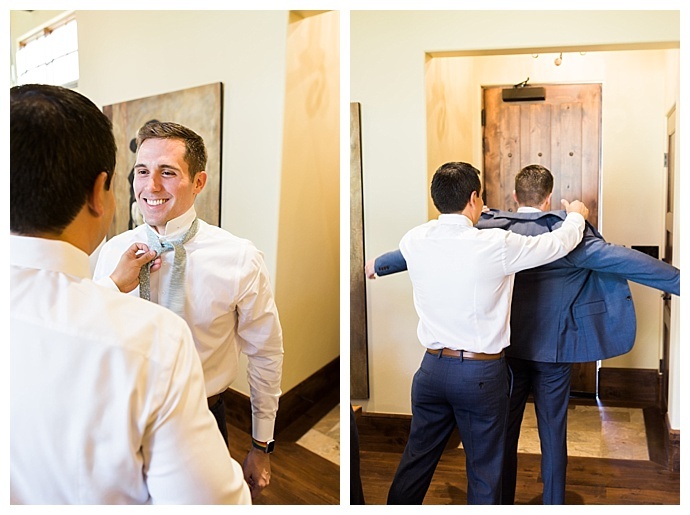 Ryan was getting ready to move to New Orleans from Lafayette, Louisiana, so when the music and arts festival, Festival International, came to town, he thought it’d be the perfect way to bid adieu to his home in Lafayette. 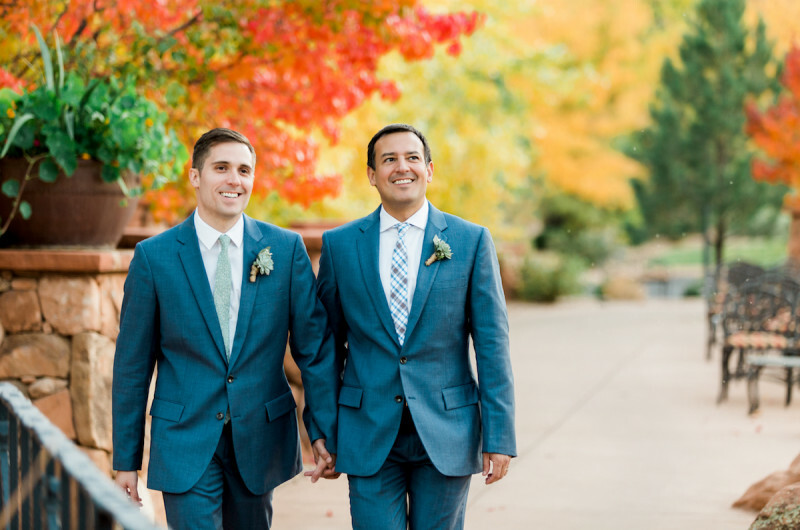 While at the festival, he crossed paths with John. 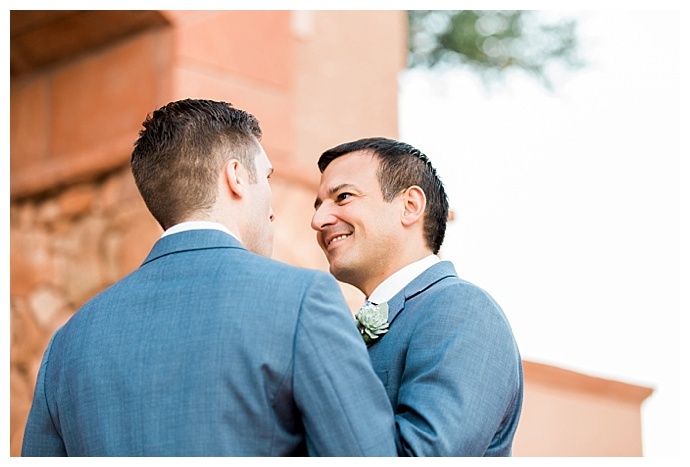 And after only three months of living in New Orleans, he moved back to Lafayette to be with John. 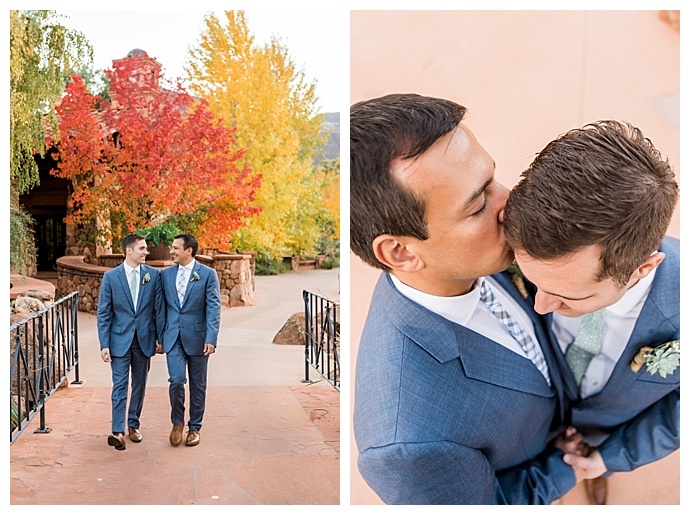 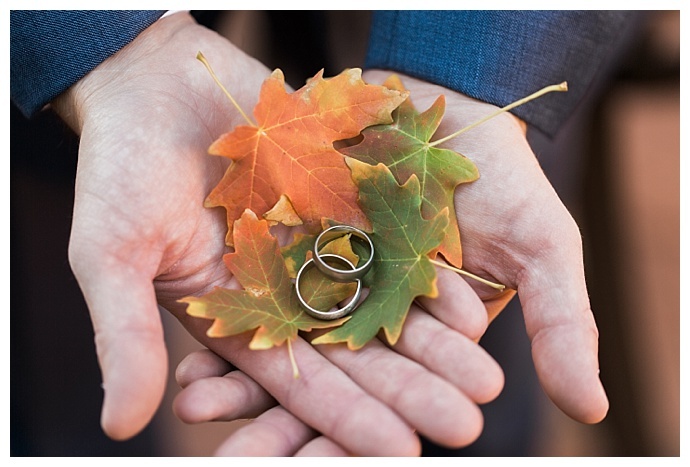 With 30 of their friends and family to help them celebrate on a colorful October day, Ryan and John exchanged vows against a beautiful backdrop before sneaking away to take some endearing portraits among the fall foliage during golden hour. 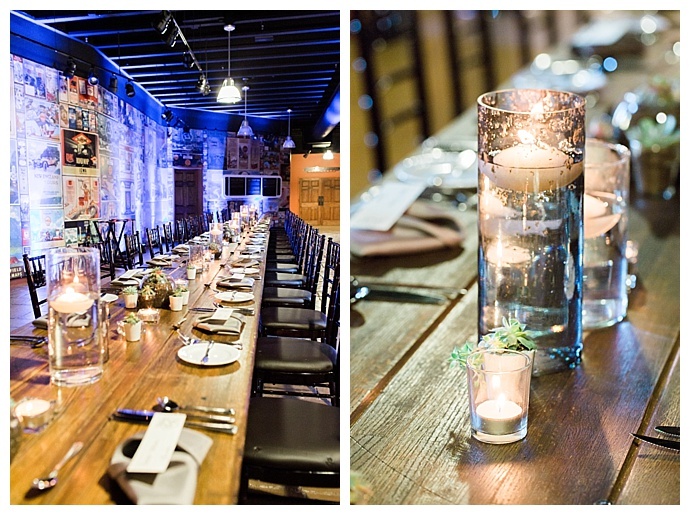 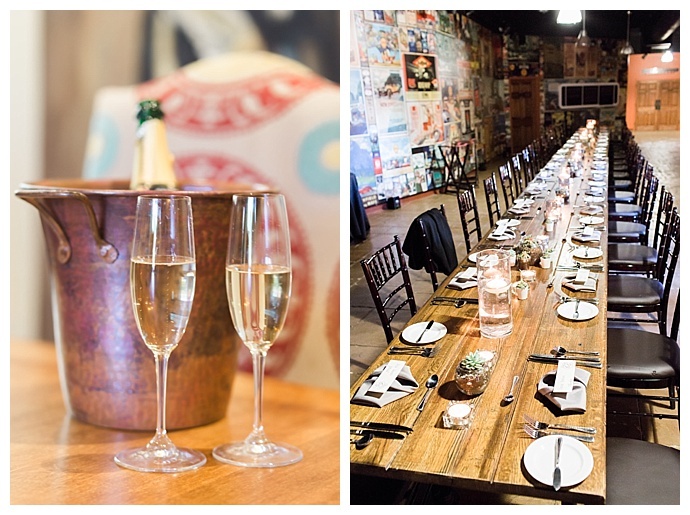 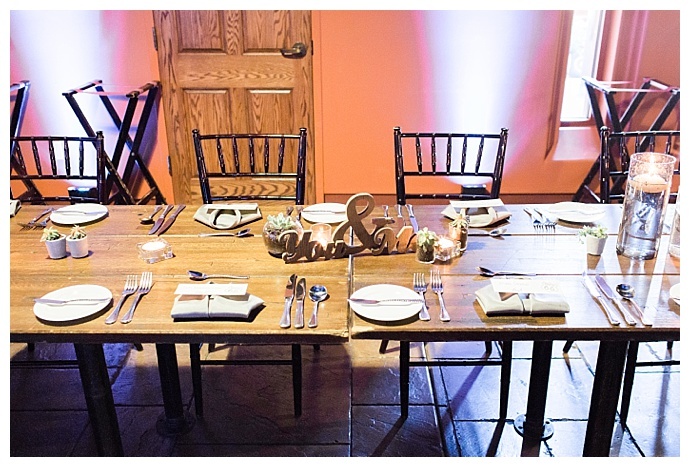 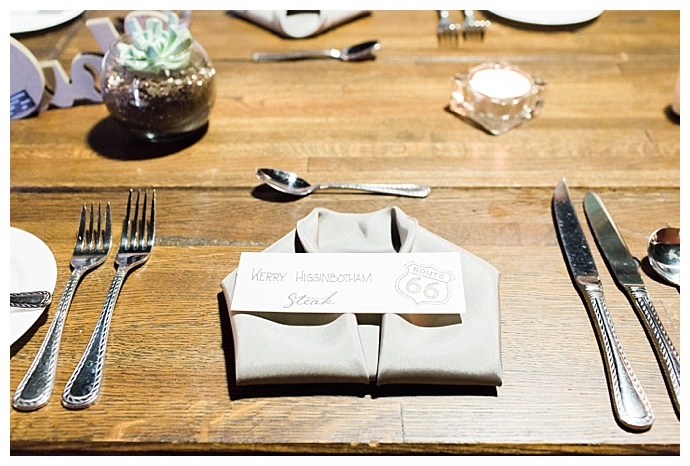 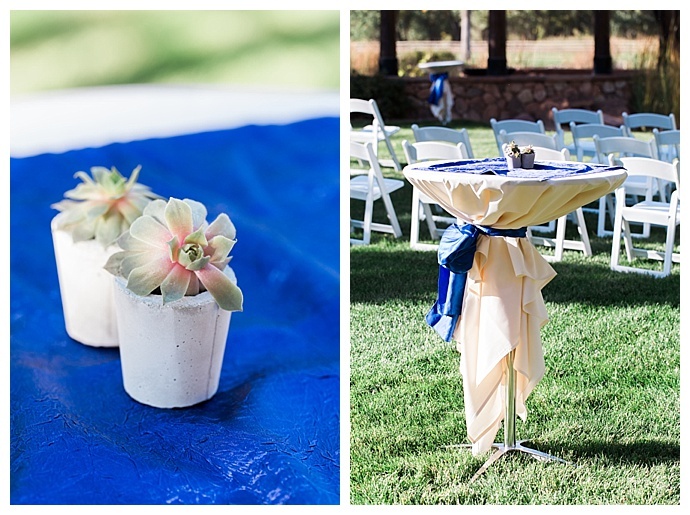 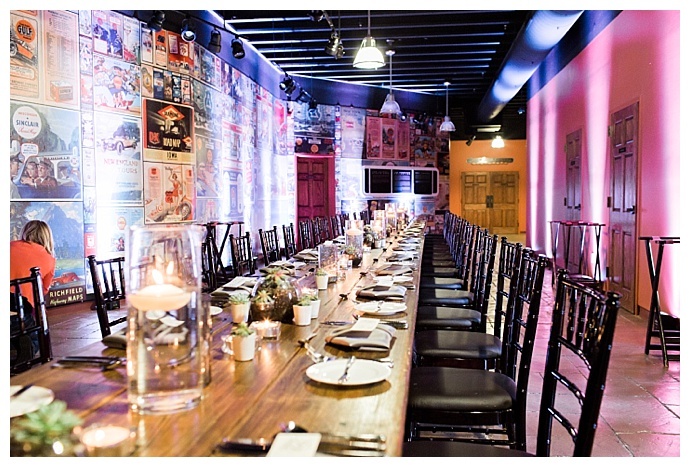 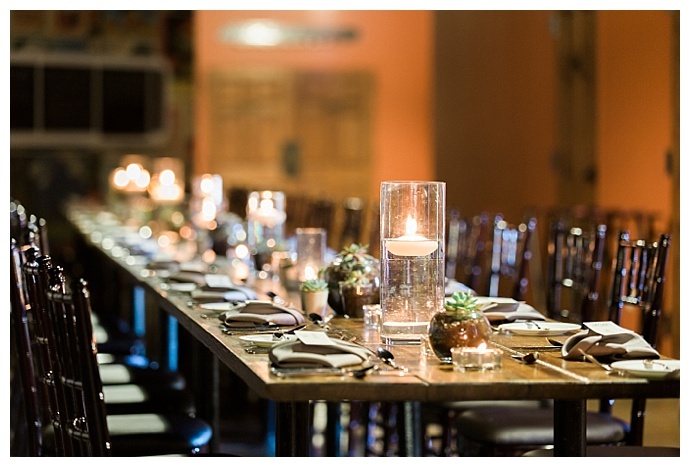 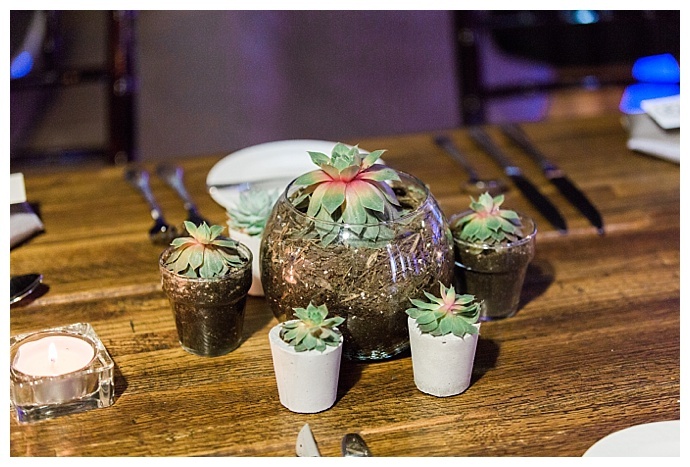 In keeping with the desert theme, floating candles and succulents topped the long farm table where guests gathered to enjoy a delicious meal together before hitting the dance floor. 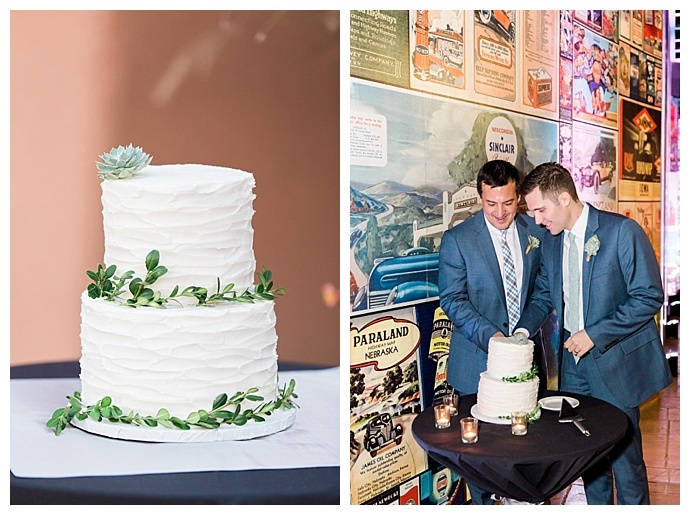 And for dessert, the grooms cut into a two-tier champagne flavored wedding cake with strawberry filling that Ryan and John say didn’t disappoint.